I love how your elder, John, encouraged his friend Gaius here. 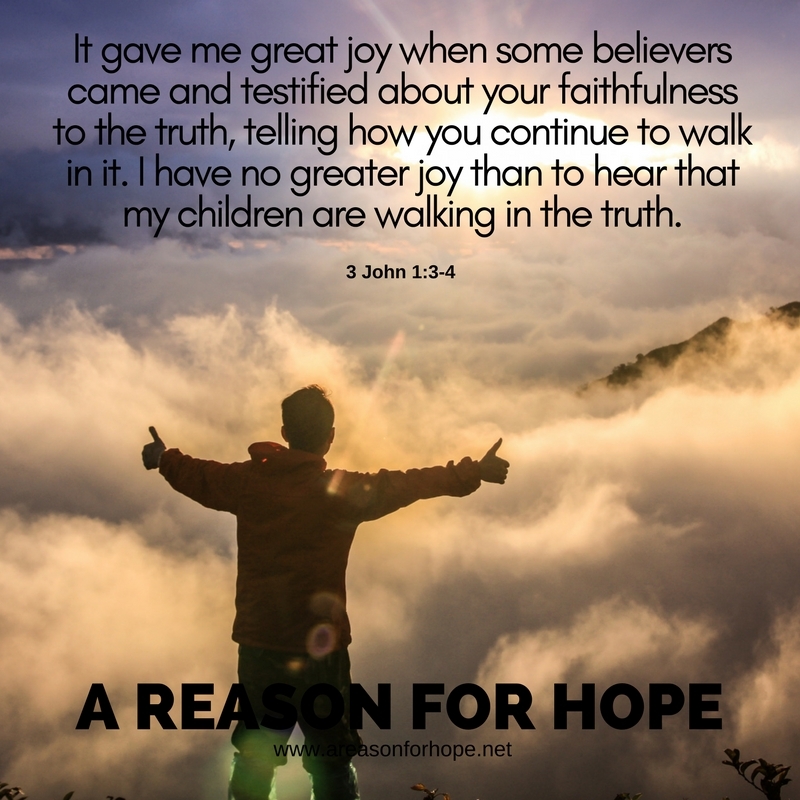 He told him about the good things other Christians were saying about him and he shared with Gaius how happy he had made John, by living an honest Christian life. Help me to be so lovingly bold to tell people how they make me happy to see them living out a healthy Christian life. Remind me when it's the right moment to speak up with praise and encouragement around everyone. Vacuum out of my heart and mouth the criticism that so easily flows. And make me an encouragement factory. Grace gossip spreads holy rumors that bring great blessing to countless hearts in countless ways.